The 'Argo' actor and director was involved in a minor crash with a parked car in Santa Monica on Saturday during which he knocked off the other car's side mirror after taking his daughters Violet and Seraphina to McDonalds. The 40-year-old 'Good Will Hunting' star immediately jumped out of his car and left an apology note for the owner, who was not present during the incident, along with his insurance details insisting he would pay for the damages. His note read: "Hi, I knocked off your mirror! Very sorry! Will cover everything. - Ben." The actor is currently receiving rave reviews for his new movie 'Argo' and is hotly tipped to bag another Oscar nomination. 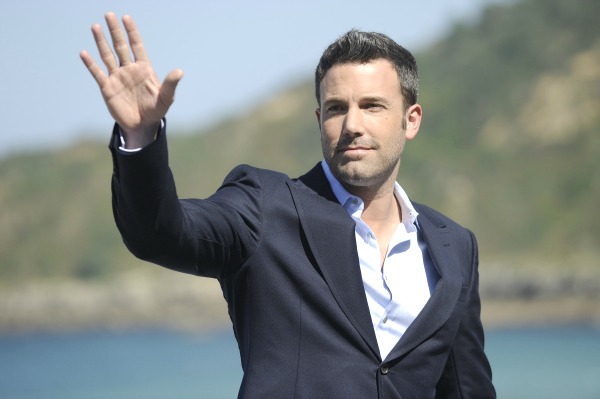 Ben, who welcomed his third child Samuel with actress wife Jennifer Garner, is gearing up for a worldwide promotional tour to support the movie. Speaking recently, Ben said he was concerned he was not around his children enough and relied on Jennifer to provide for them. He said: "I am not very present in the rest of my life. My wife's very patient. She does everything. If I have time, I try to spend time with my kids, even if just to be a physical presence, the bath, whatever."